FREEPORT, Maine -- Republican Gov. Paul LePage says asylum seekers are the biggest problem in Maine because they bring disease, including AIDS and what he calls the "ziki fly." LePage said Tuesday at a public forum in Freeport that asylum seekers expose the public to diseases like the "ziki fly." He was incorrectly referring to Zika, a mosquito-borne virus that might be linked to abnormally small heads in newborns. So far, it's affected countries mostly in South and Central America. The Maine Public Broadcasting Network reports LePage says asylum seekers also bring hepatitis C, tuberculosis and HIV. The crowd responded, "Shame! Shame!" Public health experts say they haven't seen data linking asylum seekers to the spread of infectious diseases in Maine. 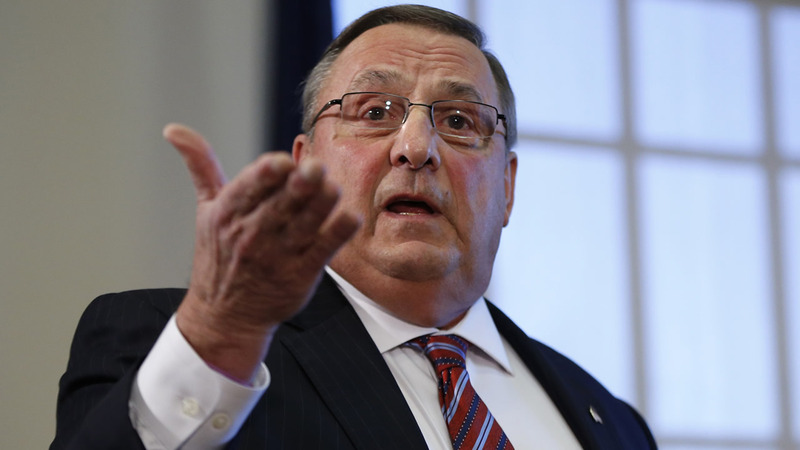 Last week, LePage was accused of insensitivity over a joke about a Chinese investor's name.